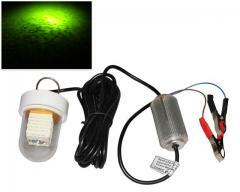 Attract prawns, squids and Fish to your favourite spot with these ultra bright LED fishing lights. The plankton and bait fish activity will attract larger fishes to your location. These Underwater Fishing lights can penetrate up to 75m through water to attract marine life at night. They are same brightness as the ones used by large commercial fishing vessels.